Last week I wrote about how the technical nature of professional music or professional science could lead to people feeling excluded from a musical or scientific cognoscenti. This week the antidote: – a series of songs (just recently available on iTunes) which will help everybody to feel included in the scientific endeavour. I recommend them to every parent, every teacher of science, and every science communicator. Ballads for the Age of Science was written and performed in a different age – an age of scientific optimism: the 1950’s. 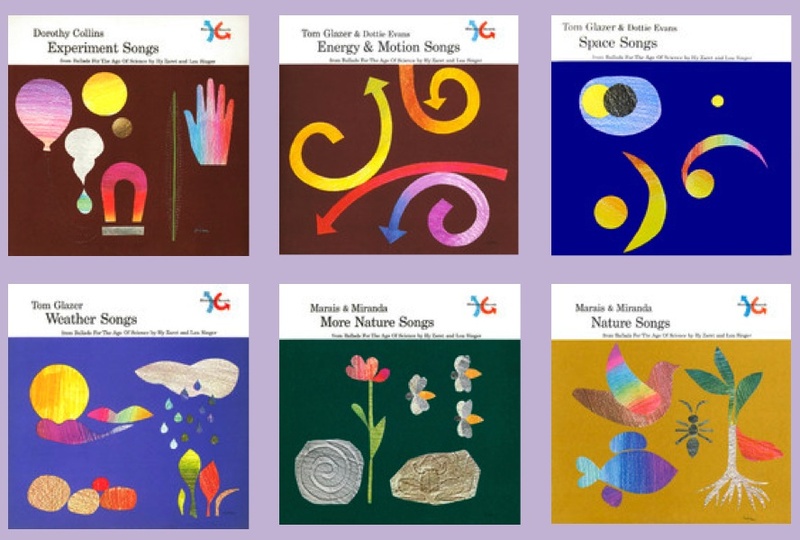 An age when it was OK to sing about the Greenhouse Effect in a primary school classroom in the USA. My favourite? “It’s a magnet”, which is just a delight. My favourite? “Why is the sky blue?” which is not quite technically correct, but so ambitious! My favourite? That’s hard because every one is a gem. “What is the Climate?” is a classic, but “What does the Glass of Greenhouse do” is brilliantly ambitious – and bold in its use of banjo! My favourite? It has to be the catchy “E-lec-tric-ity” which is a true work of genius. My favourite? Despite the naiveté it has to be “A scientific fact”, a paean to age when things were simpler . … and if we had the time we would use loads more! This entry was posted on March 4, 2013 at 12:05 am and is filed under Media, Personal, Protons for Breakfast, Reviews, Simple Science. You can follow any responses to this entry through the RSS 2.0 feed. You can leave a response, or trackback from your own site. Dutifully shared on the Turing House Facebook Page. We love anything that explores relationships between science and music, so keep it coming! I hope you will let me link to this on Argosy’s web page. !!! We Have a New CD !!! I am very pleased and proud to announce that Argosy’s CD “Zoom a Little Zoom” is in School Library Journal’s Top 10 Music | 2018.